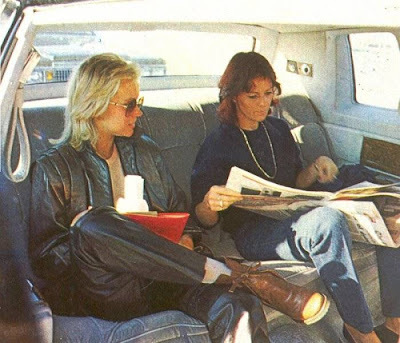 Shady Agnetha and a paper reading Frida during ABBA's US tour in the fall of 1979. 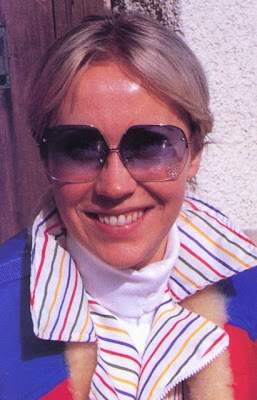 Agnetha in November 1981 and Frida in Holland in the summer of 1982. 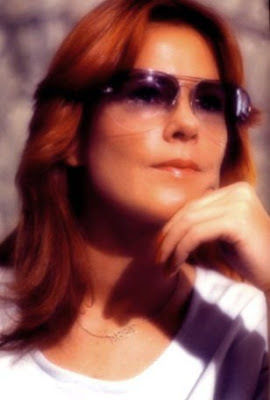 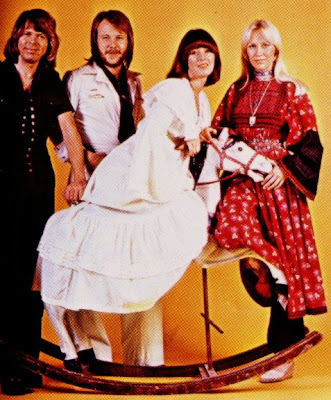 ABBA in the photo studio in April 1978. 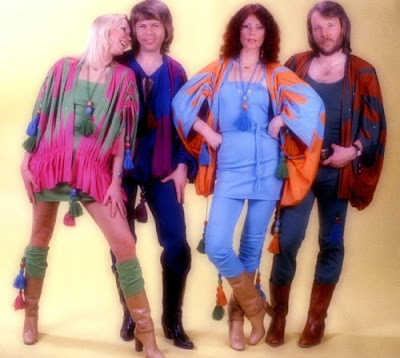 What is it actually that Benny is wearing? 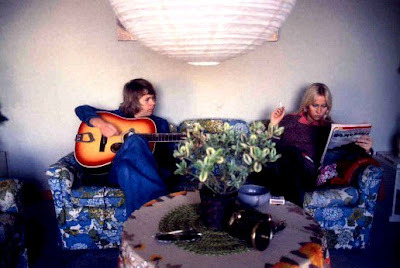 Bjorn & Agnetha at home in Valentuna in the summer of 1975 and Frida & Benny visiting Oslo, early 1978. 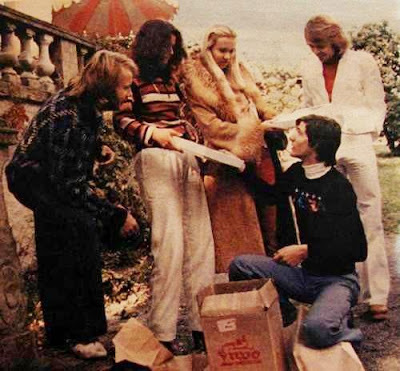 Benny, Frida, Agnetha (spotting the photographer of this pic) and Bjorn in Los Angeles (Beverly Hills to be accurate) in October 1976. 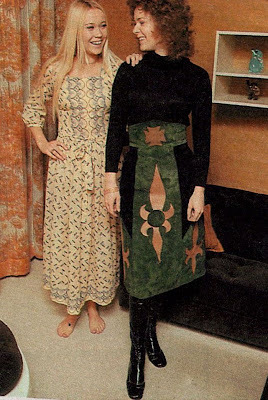 Folksy Agnetha and trendy Frida at Agnetha & Bjorn's house in 1972. 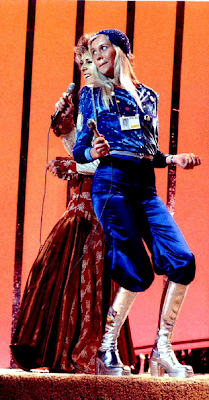 Another clear example of how much they hated each other... lol! 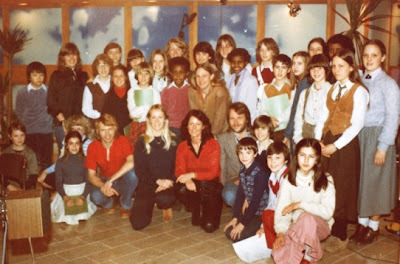 ABBA and the children of the International School of Stockholm in March 1979 after recording I Have A Dream at the Polar studios. 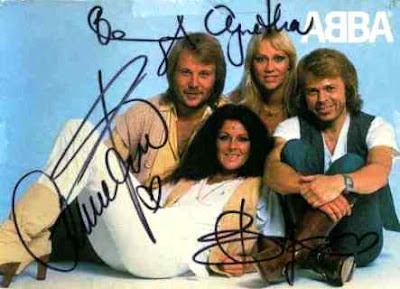 Two lucky fans meeting their idols (that would be ABBA... d'uh) in 1978. 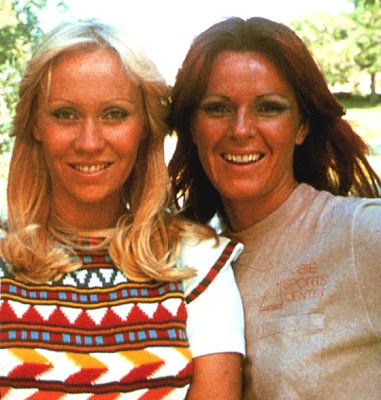 Collage of Frida and Agnetha in 1981: the serious and mature days of The Visitors. 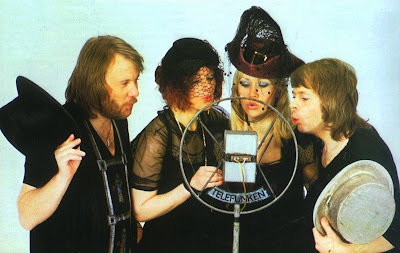 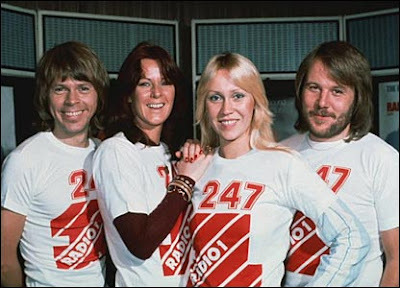 ABBA promoting Arrival (and in this case a radio station) in the UK, November 1976. 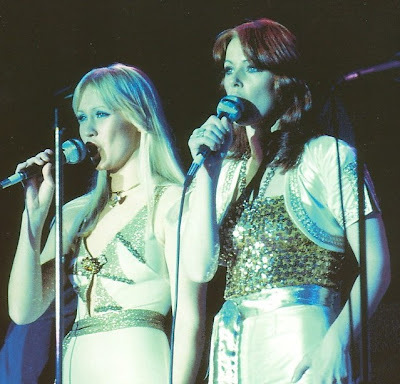 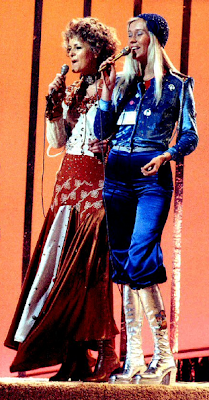 Agnetha and Frida on stage during ABBA's European tour, early 1977. 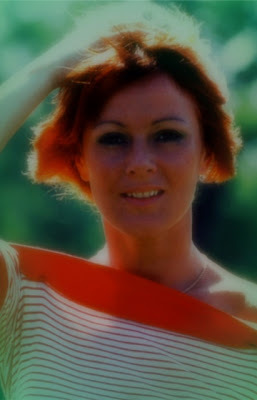 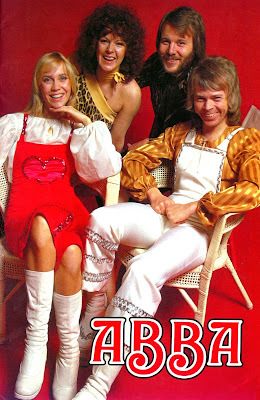 Poster of a happy clappy ABBA as photograped early 1975. 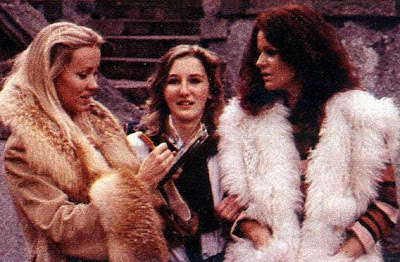 Frida working on The Movie in the summer of 1977 and another pic of Agnetha in Switserland in February 1979. 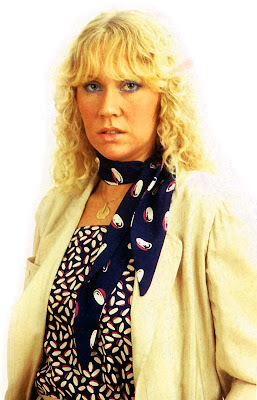 So what is Agnetha talking about? 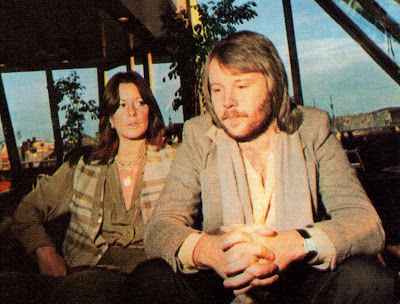 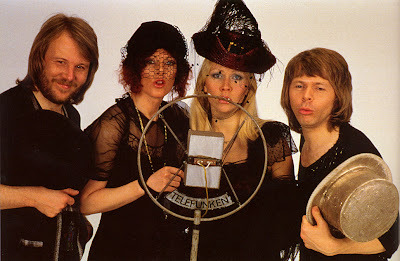 Nobody (especially the guys) seems to care... ABBA in April 1978. 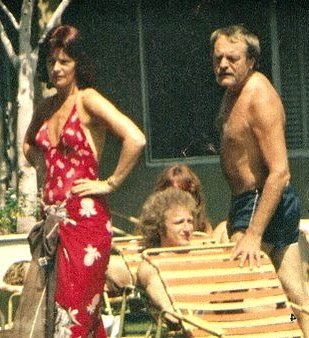 Frida, Stig and (watermarked) Agnetha relaxing at the pool of their hotel in Los Angeles during the US tour in September 1979. 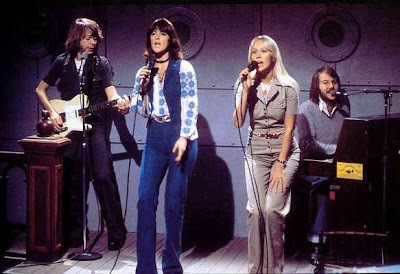 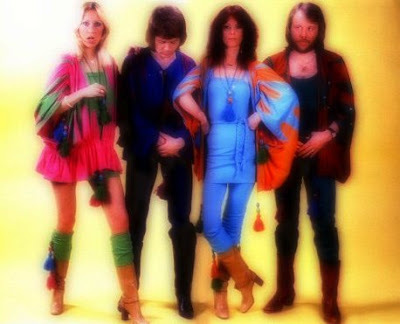 ABBA rehearsing their appearance on the US tv show NBC's Saturday Night (later known as Saturday Night Live) on Frida's bithday: November 15th 1975. 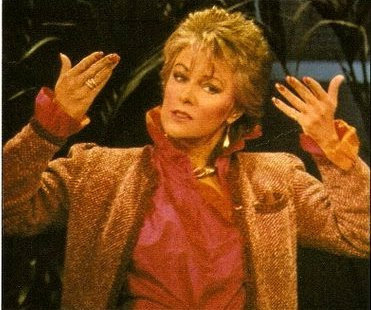 Another watermark that will not spoil our fun... lol! 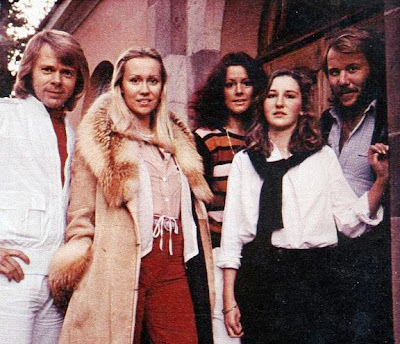 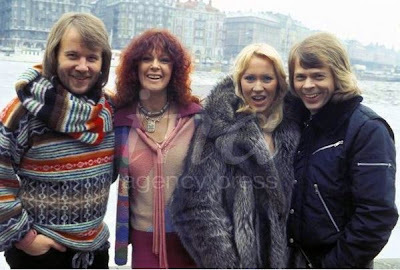 ABBA in the cold city of Stockholm, early 1978. 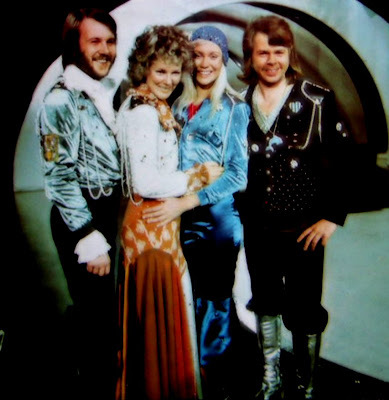 Not yet the real thing but the rehearsals (note Agnetha wearing her ID pass) of Waterloo in Brighton, April 1974. 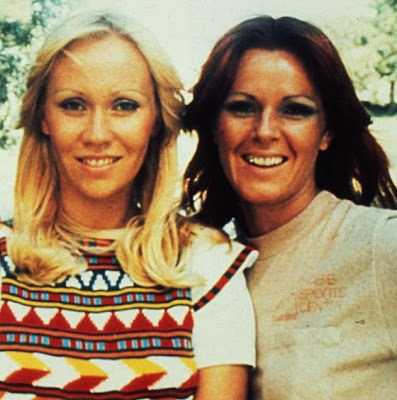 Frida in the Swedish summer sun of 1977 and Agnetha in the Swiss winter sun in 1979. 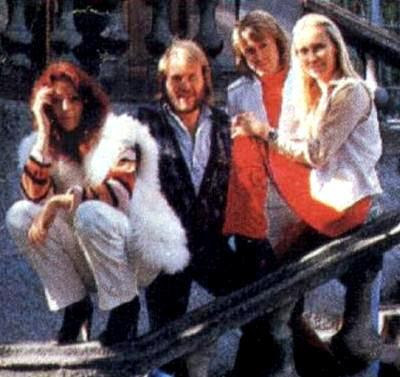 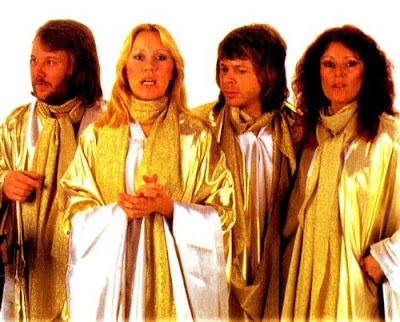 ABBA trying very hard in April 1978. 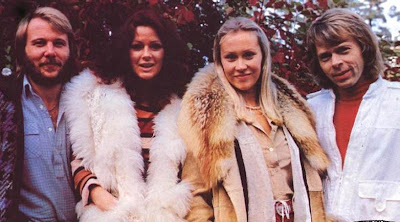 Girly Agnetha in Los Angeles in 1976 and stylish Frida in Stockholm in 1979. 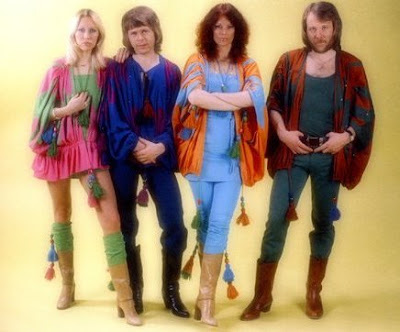 The ABBA members showing off some amazing assets in a tv studio in 1975. 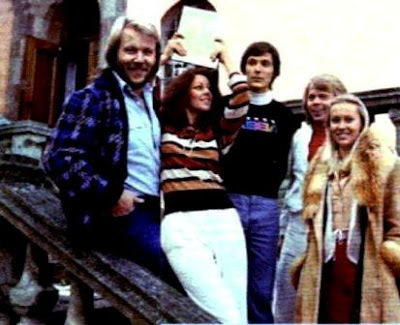 ABBA on location in Marstrand to film the promo video for the new single The Winner Takes It All, July 12th 1980. 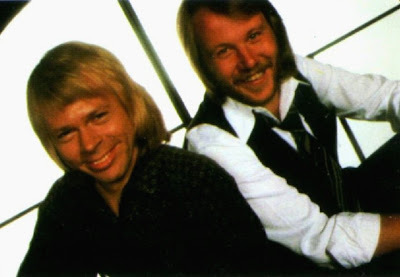 Diplomatic Bjorn and relaxed Benny posing in the summer of 1977. 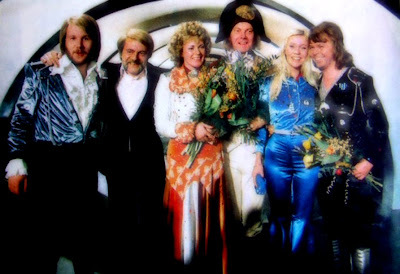 ABBA (with manager Stig Anderson and conductor Sven-Olof Walldoff) celebrate the win of Melodifestivalen with the Swedish version of Waterloo, February 1974. 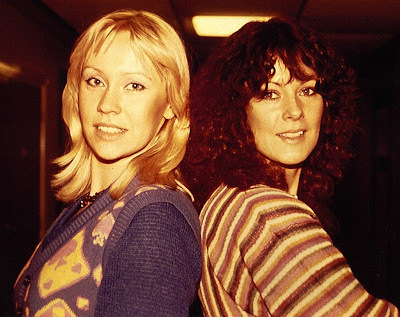 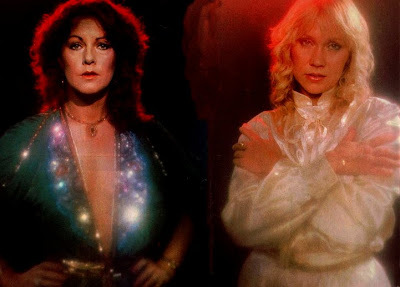 Agnetha and Frida promoting The Movie and The Album, February 1978.